Protects from wrinkles, nourishes and stimulates; gives a radiant and smooth skin. This cleansing foam is very respectful for the skin and with a moisturizing effect. Thanks to the glacier’s water and extracts of flowers of the Alps that it contains, the Hedelweiss Cleansing Foam dissolves all traces of make up and impurities. Apply morning and evening to a pre-moistened face and neck. This tonic lotion hydrates, stimulates and refreshes the skin while respecting its PH and its moisturizing level. The skin is clean and smooth as silk. Apply to perfectly cleansed face and neck morning and evening and/or at any time of the day for a feeling of freshness. 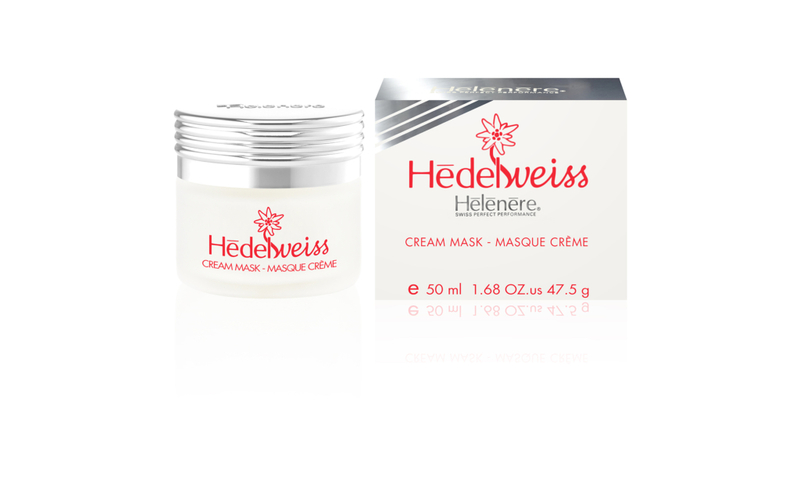 Moisturizing cream with normalizing and protective properties. 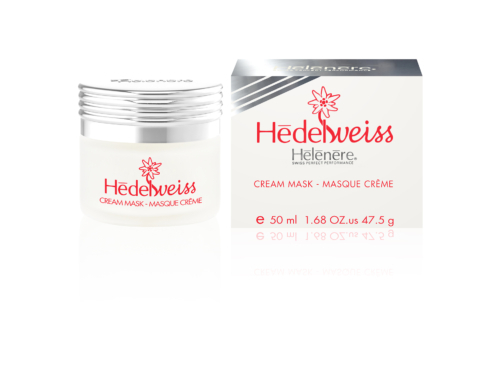 This cream is formulated with a pure and exclusive complex of Edelweiss extracts that ensures the skin a regularized hydration all day long. Apply with a light massage morning and evening to cleansed face and neck. This serum is concentrated in highly moisturizing agents based on a pure and exclusive complex of Edelweiss extracts that restores the skin moisture, soothens premature wrinkles. Apply morning and evening to face and area around the eyes and neck, before applying the day/night cream, such as Heldelweiss 24H Cream (H803).